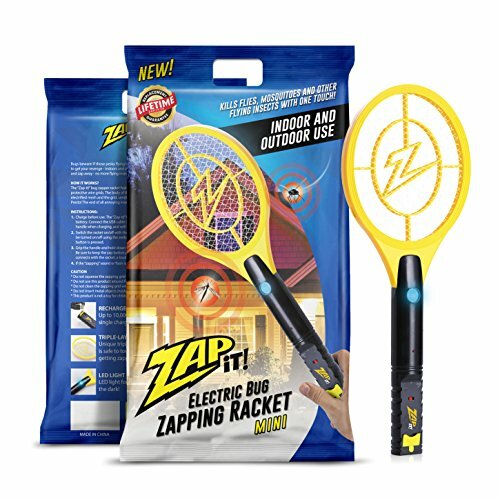 Kill bugs instantly - a single swing of the Mini travel version of our best-selling zapper with a powerful 4, 000-Volt grid eliminates flies, mosquitoes and other flying insects. Get rid of your old fly swatter and take the modern approach! 100% LIFETIME REPLACEMENT ! - If you ever have issues with your Zap-It Bug Zapper, simply contact us, and we'll rush a replacement to you FREE FOR LIFE! If you have any questions about this product by ZAP IT!, contact us by completing and submitting the form below. If you are looking for a specif part number, please include it with your message.